If you missed the magnificence that occurred at Houston’s Toyota Center Saturday night, fear not. 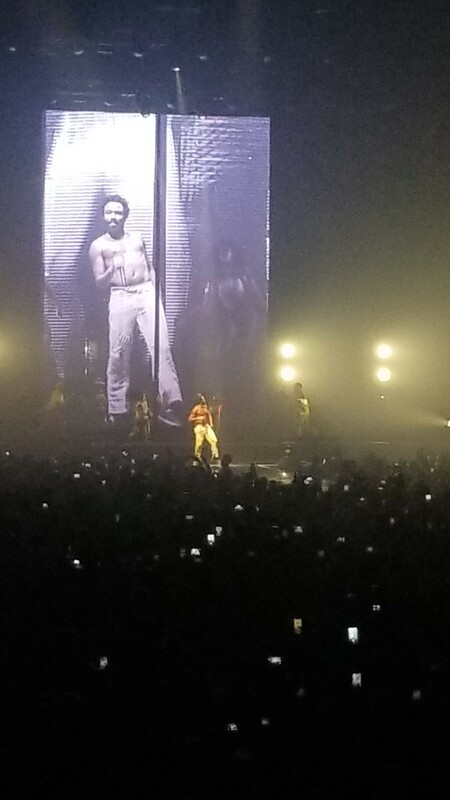 Val here – and I’m going to tell you why you need to see Childish Gambino perform live if you haven’t already. Childish Gambino (that’s his musical artist name – his government name is Donald Glover and he’s also an actor) is one talented dude. Whether you’re a fan of his TV series “Atlanta” or just love his music like I do, you gotta respect the man’s talent. I brought along my friend Nikki on this particularly rainy night in Houston, but it was worth it. 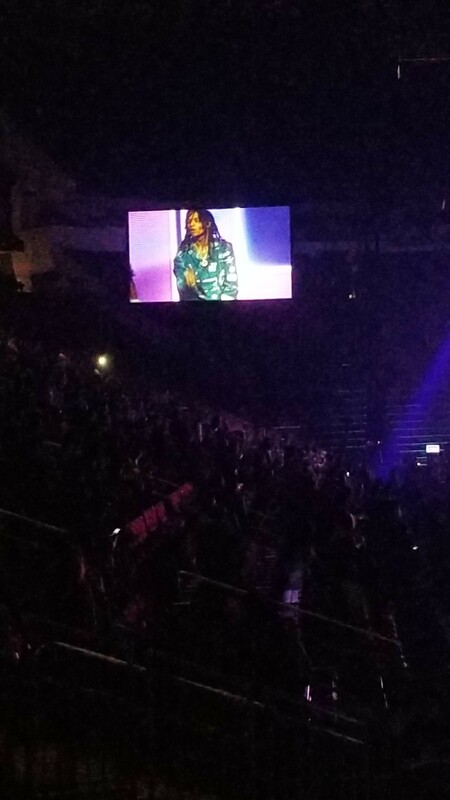 We made it to our seats just as opening act, rap duo Rae Sremmurd, took the stage. So we got to get a little ratchet before we got to the main attraction. There was like a 30 minute intermission – if you want to call it that – in between Rae Sremmurd’s and Childish Gambino’s performance where they were breaking down and setting up the stage. I feel that time could have better been filled with a local Houston artist or even a DJ to spin some H-town music in between. 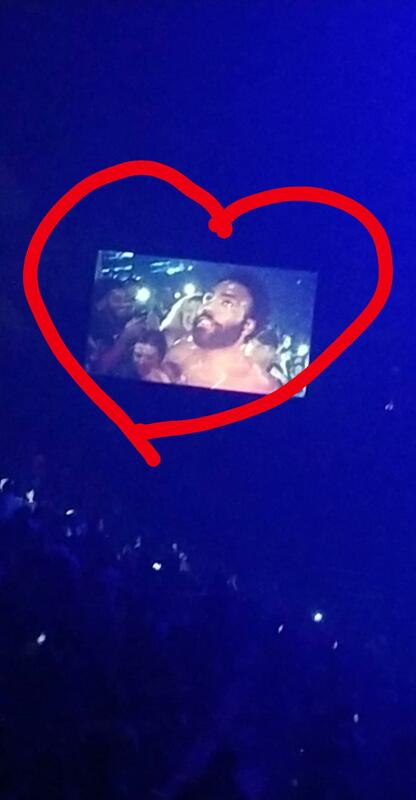 Then Childish Gambino entered the stage in all his glory and the crowd lost it. He started by announcing that this was his last tour. Whoa – this is giving me Adele deja vu vibes. Whether it’s true or not, glad I got a chance to see it. Childish Gambino also gave the directive that a lot of music artists do during their concerts. He told everybody to put their phones down. I obliged…but don’t worry I snuck some shots later and a few snippets of video footage, because c’mon. In his opening address to the crowd, he said he’d first performed in Texas years ago to a crowd of about 500 people. But he seemed to love us…called us rowdy. I don’t know, I felt that in my soul and I took it in the sentiment I know it was given. We show so much love to great performers and in my opinion, Childish Gambino is one of the elite. And then he performed. He just did it so effortlessly. He’s a petite little man and he performed the entire night shirtless – dancing around with bright lights and a small band and dancers. Gave us such Prince vibes. 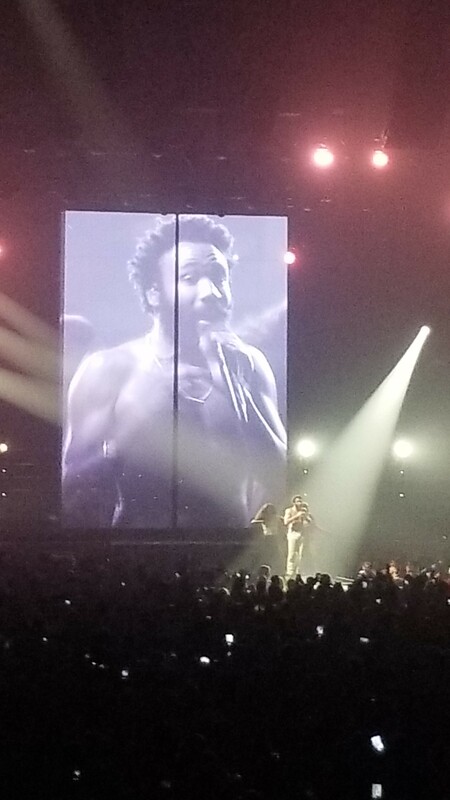 Childish Gambino promised us an experience, not a concert, and he kept good on his word. At one point, he was seen on the big screen walking around the Toyota Center – fist-pumping people and picking up an alcoholic beverage – then he appeared in the crowd and performed a song as he was surrounded by fans who just love him. Another time he was shown backstage changing for his next set and the crowd started loudly chanting “Bi-no! Bi-no!” He put his hand to his ear and we got louder. He gave a slight smile. Pretty sure he felt the love. It was all love that night.